At least 10 mechanics who work on Southwest passenger jets in Dallas and Los Angeles say the air carrier has discouraged maintenance personnel from reporting potential safety issues. According to a pair of whistleblower complaints obtained by NBC Dallas, Southwest supervisors have been accused of applying "pressure not to document discrepancies" and creating "a culture of fear and retribution." Among the most troubling claims is an allegation that a Southwest supervisor "reacted with hostility" last year when a senior mechanic reported corrosion around the weight inside a plane’s rudder. "Instead of praising him and saying thanks for finding the corrosion, he was subject to disciplinary interrogation," said Lee Seham, an attorney who represented the whistleblowers. 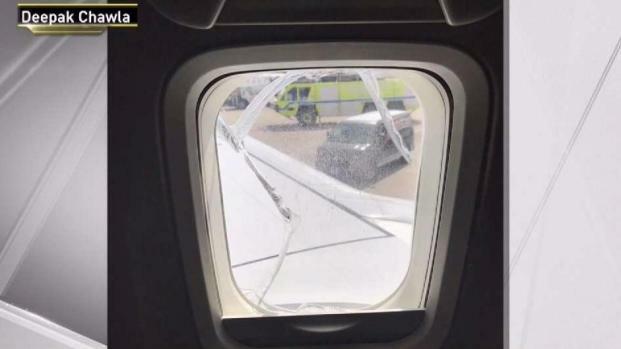 A Southwest Airlines flight from Chicago to Newark was diverted to Cleveland after a window appeared to partially crack mid-flight. Ida Siegal reports. According to the FAA, the rudder corrosion problem turned out to be a systemic risk associated with multiple 737 airplanes. Boeing, the manufacturer, along with FAA inspectors and airlines, are now monitoring for rudder corrosion more closely. The FAA investigation of the whistleblower reports make clear that no Southwest jets were allowed to fly in unsafe conditions and the FAA failed to substantiate most of the violations of FAA rules alleged by the airplane mechanics. But federal investigators warned that Southwest’s questioning of mechanics’ findings in the Dallas hangar appeared to be "a tool used to influence a relaxing of standards, to look the other way." In the case of the Los Angeles maintenance hangar, the FAA concluded disagreements between mechanics and supervisors created "the absence of a just safety culture." The safety complaints from airplane mechanics come during a protracted labor dispute between Southwest and its maintenance staff. Airplane mechanics working for the company have not had a collective bargaining contract for five years. Brad Hawkins, a spokesman for Southwest, sent an email disputing the notion that mechanics are ever discouraged from speaking up about safety issues and stressing that bullying and intimidation by supervisors is not tolerated. "While we do expect our mechanics to work their assigned tasks, we do not prohibit employees from raising safety concerns at any time and, in fact, encourage the reporting of safety concerns through our 24-hour automated Safety Reporting System," Hawkins said. 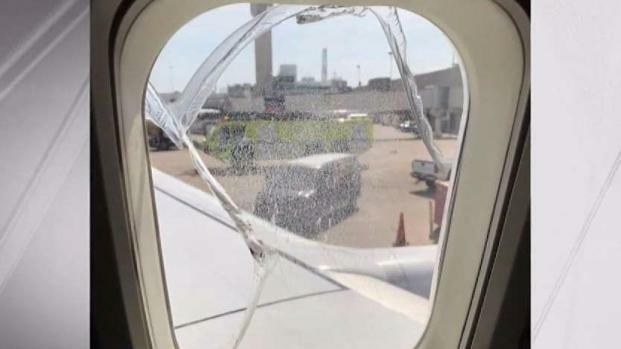 A Southwest Airlines flight from Chicago's Midway Airport to Newark was diverted to Cleveland Wednesday after a window appeared to partially crack mid-flight, according to the airline and its passengers. Roseanne Colletti reports. Southwest also questioned the findings of the individual FAA investigator who evaluated the whistleblower claims. "Southwest’s culture of safety does not align with the comments made by the individual FAA employee who conducted the investigation. Nothing is more important in our business than safety and, as such, compliance is always our theme," Hawkins added. Ed Libassi, a 40-year veteran airplane mechanic who spent years working on Southwest planes at Long Island's MacArthur Airport, said his team never experienced pressure from Southwest to bury safety problems. "At no time in the 15 years did Southwest ever, ever ask me to deviate, sign off, or turn a blind eye to something that I had found," Libassi said. But Libassi also said he sympathizes with mechanics who feel managers are too discouraging when they reveal unexpected aircraft defects. 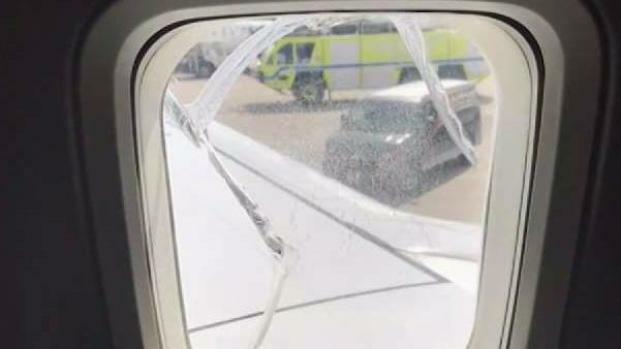 As window failures on airplanes come into the news, we look at the various ways that a cabin window can fail. Chris Glorioso reports.